We hope you can join us this Tuesday, 16 December 2014, for our next Lambeth Cyclists meeting. At this meeting we will be hear from Councillor Jennifer Brathwaite of Lambeth Council. Jennifer is Lambeth Cabinet Member for Environment and Sustainability who has overall responsibility for cycling in the borough. This will be an opportunity to hear about the latest developments and thinking in the borough and your chance to ask questions about progress on the cycling strategy, Space for Cycling, bike storage and other matters. 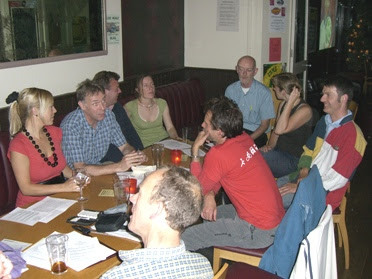 After the meeting we will head on to the Priory Arms pub for drinks and to continue the cycling talk. The meeting will take place at the Stockwell Community Centre, 1 Studley Road, SW4 7:30-9:00pm. The Centre is located behind Stockwell tube station with cycle parking in the forecourt.